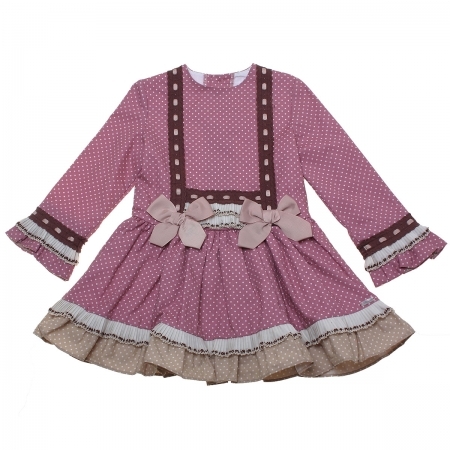 Girls dress in dusky pink white polka dots pattern, frills in front and on cuffs, complete with caramel bows. Fully lined. Headdress not included. Buttoned at rear and decorated by a bow. Made by Miranda of Spain. 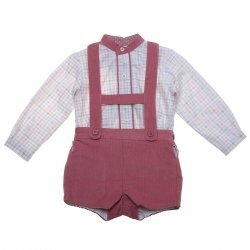 Please see related items for the matching baby sister and brother outfit. Very limited stock, in stock now for delivery or you can come to our shop if you live nearby.